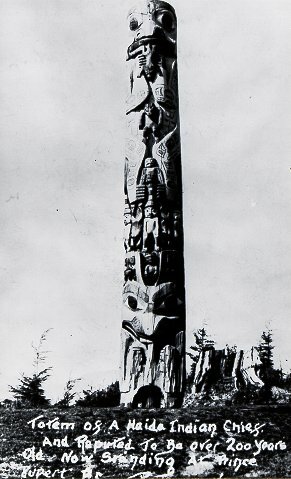 Remarks: "Totem of a Haida Indian chief; and reputed to be over 200 years old, now standing in Prince Rupert". See reverse of original print in brown file envelope for writing on this pole. See Drew p.10.